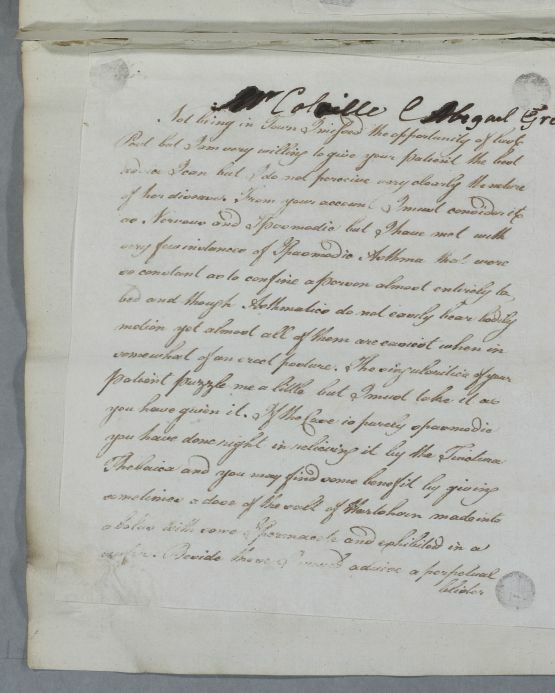 Reply addressed to Mr Colville concerning his patient Abigail Greer, who he had presented as having spasmodic asthma, though Cullen questions this diagnosis. 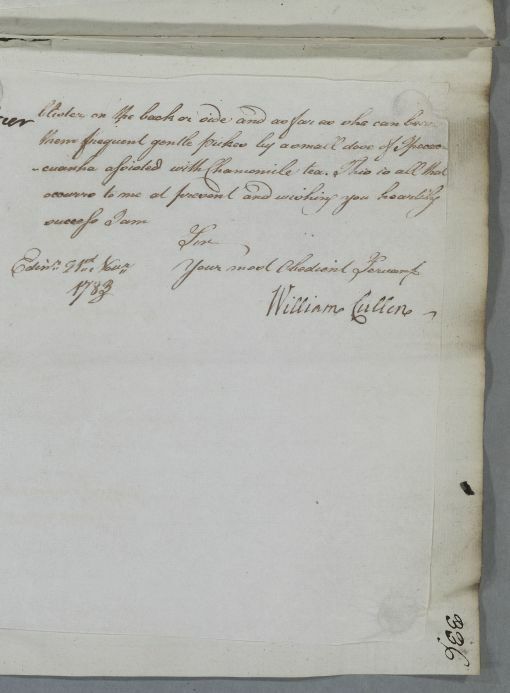 Summary Reply addressed to Mr Colville concerning his patient Abigail Greer, who he had presented as having spasmodic asthma, though Cullen questions this diagnosis. Case of Abigail Grier [Greer] who is debilitated with a feverish asthmatic chest condition.